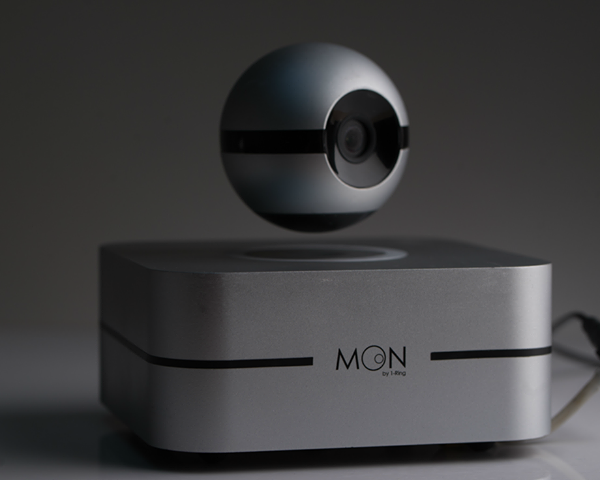 We've seen levitating Bluetooth speakers and connected smart cameras before, but the Moon, a fully funded Indiegogo project, melds those technologies in a $209 ($330 at retail) floating robotic eyeball and base that can also act as a smart hub for your home. That is, if it ever ships. The typical crowdfunding caveats apply. Some Indiegogo projects don't have much of a future, and this is 1-Ring's first. The Moon, which comes from 1-Ring Inc., comprises a wide-angle lens embedded in a sphere made of plastic, aluminum, and rubber. 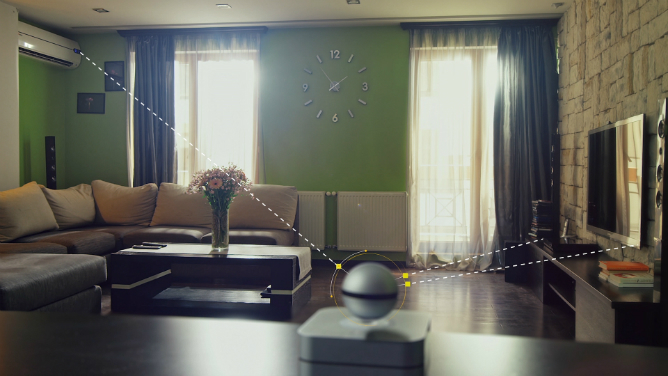 When the smart camera is levitating above its base unit, it can give its owner a 360-degree scan of whatever room it's placed in. Its free companion app, delightfully dubbed the Moon Commander app, can be used to control the device remotely. 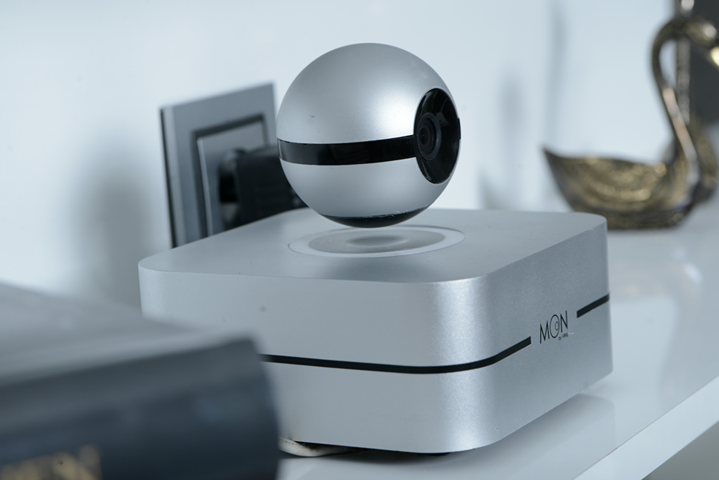 The levitating camera can detect and automatically turn to face sound or motion in the room it's placed in and begin recording, take a snapshot, or respond in another predefined way. 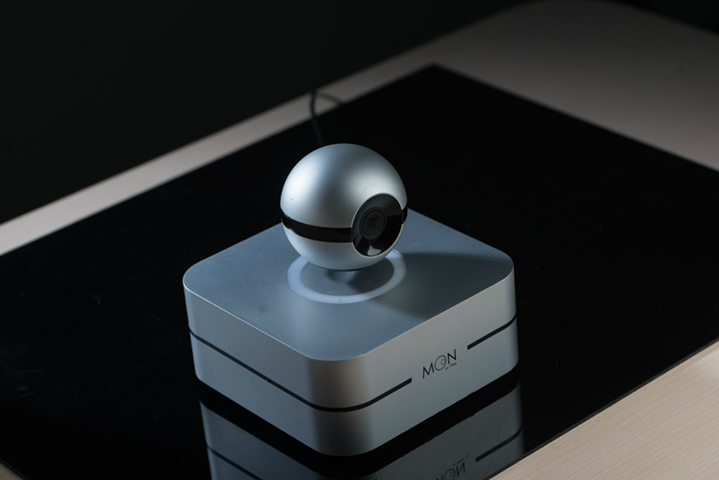 Equipped with three noise-canceling microphones and speaker, the Moon can also be used to video chat. 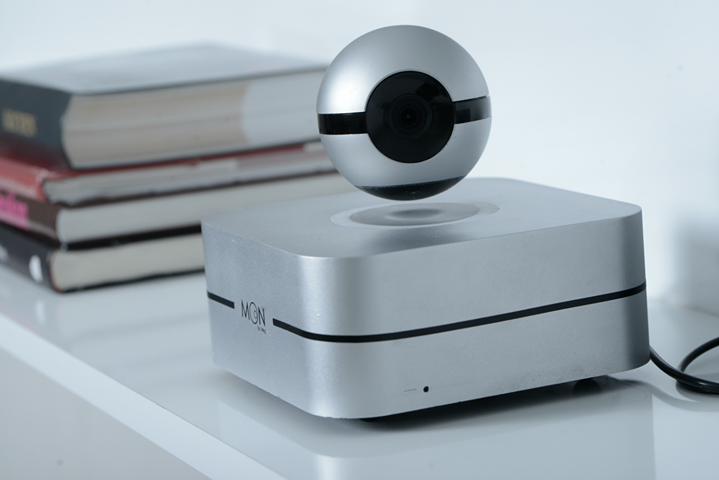 When disembodied from its base, the camera unit can be magnetically attached to a metal surface and continue functioning from there. 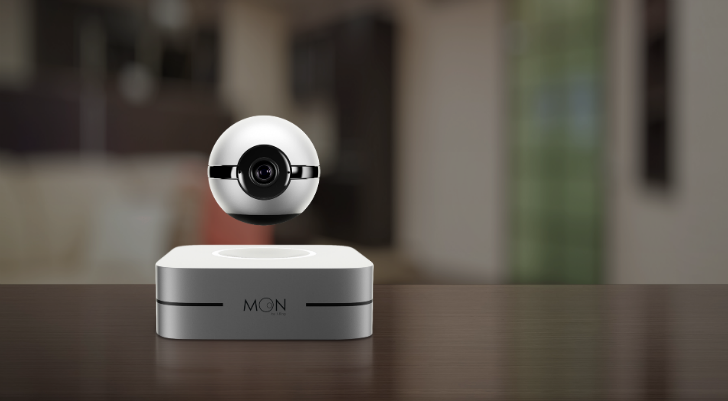 1-Ring claims the Moon camera unit can stream HD video for at least five hours when apart from its base, which wirelessly charges the floating eye. The Moon is compatible with Google Home and Amazon Alexa, with support for Apple HomeKit pending. It uses ZigBee, Z-Wave, Bluetooth Smart, and an IR blaster to control home devices. Video recordings from the Moon can be uploaded to cloud storage services like Dropbox or Google Drive. 1-Ring notes that users can also choose to save videos to their own FTP servers or microSD card, options that should please the privacy-minded. At the time of this posting, the Moon has raised nearly $60,000, or 130 percent of its $45,000 fixed goal. 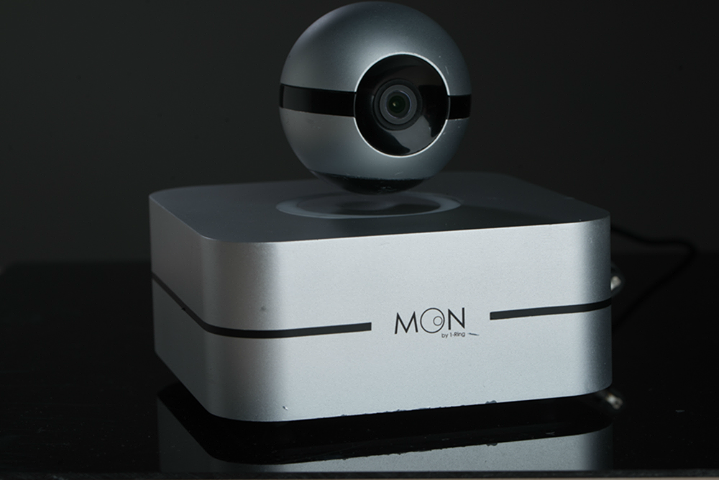 The standard $209 perk package comes with the Moon camera unit and base, while the camera unit and a flexible arm can be had for $149. The "Galaxy Package," which includes a solo camera unit, a standard camera unit and base pairing, and a flexible arm, can be had for $348. Shipments to backers are scheduled to begin in March 2018. Remember, though, if a crowdfunded product sounds too cool to be true, history tells us that it may be just that, and there's always a risk.